Maybe you are like Brent Wathke and are having a rough time finding appropriate ways to teach this presidential campaign in your classroom. According to 2,000 teachers who responded to a Teaching Tolerance survey between March 23 and April 2, 2016, the campaign is having a negative effect on students. It is eliciting fear and anxiety among children of color, immigrants and Muslims; emboldening students to mimic the words and tone of the campaign; and teachers are finding most of the content from the debates, to supporting satirical content, are too risque and not appropriate for teaching in their classes. Parents and teachers alike are having a hard time talking about the election with their kids. They are struggling with how much to show their kids, and how to explain it all. The language surrounding the election is disrupting opportunities to teach effectively about political campaigns and civic engagement. During this unusual campaign season, we’ve gathered some great websites for you to check out and use with your students. Teaching Tolerance has great resources for teaching bias, along with activities to get your students involved in civic action, and more. Share my Lesson has a great collection of election lessons for elementary, middle, and high school students. From mock elections to voting rights, these top-notch resources help explore political action for any grade level. PBS News has age-appropriate content that gives students the ability to explore the site and take charge of how they take in the election content. Watch videos, read stories, scroll through infographics, and more. KQED has a lot of amazing content that provides a deep dive into topics. You can explore state propositions, and tons of articles for all the issues in today’s election. Scholastic has vocabulary, games, news videos, and even kid reporter coverage on the election. 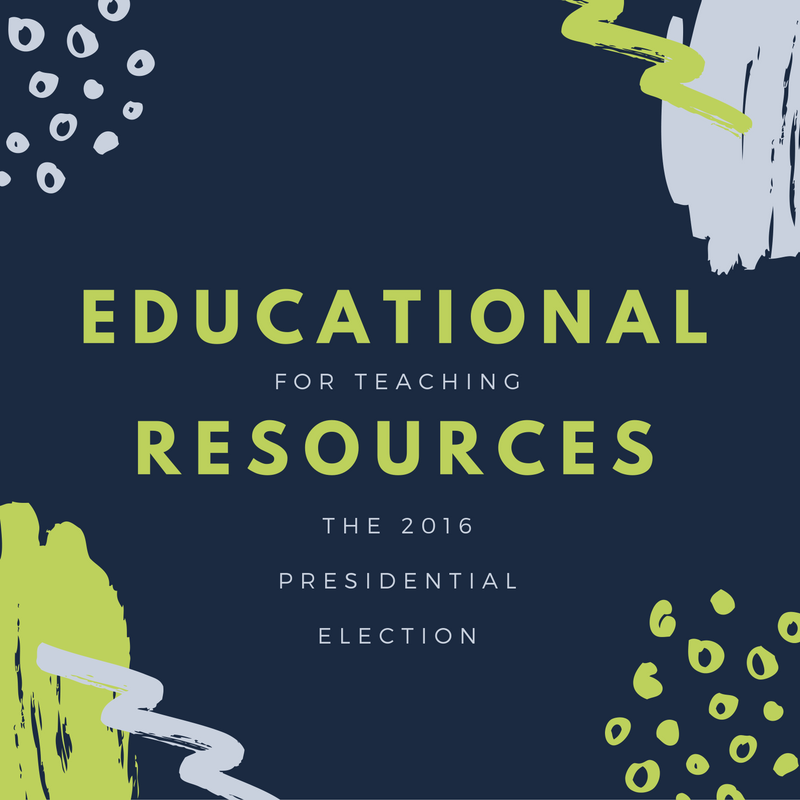 Their election skills magazine is filled with teaching resources for K-12 teachers. Facing History has also posted a guide for teachers to help support student discourse regarding the election, to exchange ideas, and listen respectfully to different opinions and experiences. Help students try out ideas and positions, and give – and get—constructive feedback without fear or intimidation. And don’t forget our collection of election stories in the news. We will continue to add new stories each week to keep up with the news. Keep checking back on this blog page, or the current events to find the latest audio stories with supporting teaching resources.